Second largest town in Ladakh, Kargil came into limelight during the Indo-Pak war of 1999. This hauntingly beautiful town of Jammu & Kashmir has some marvelous tourist attractions that would make a travel enthusiast visit it time and again. 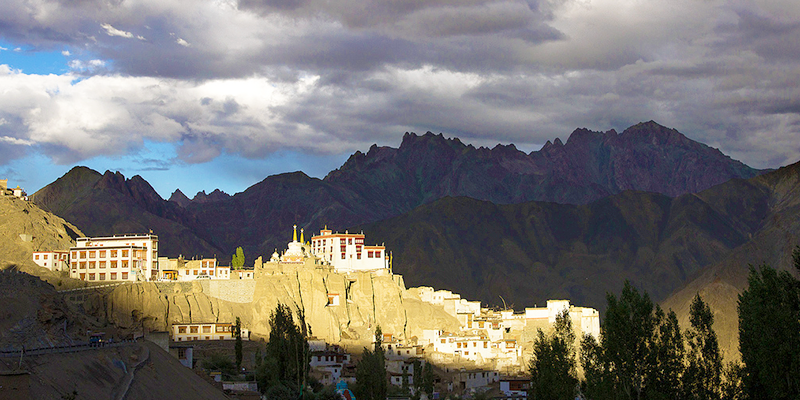 Kargil is home to many beautiful Buddhist monasteries. 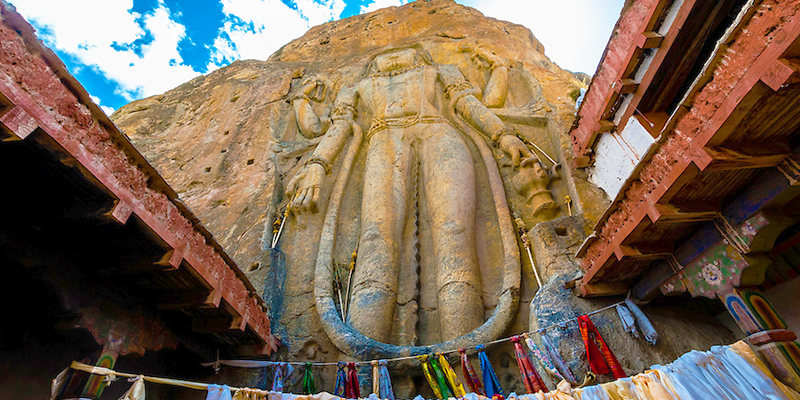 Their presence may seem out of place today (for the religion based demographics of Kargil show 95% Muslim residents), but before 14th century Buddhism was the primary religion in these parts. So, let us look at some of these marvelous Buddhist monasteries of Kargil. 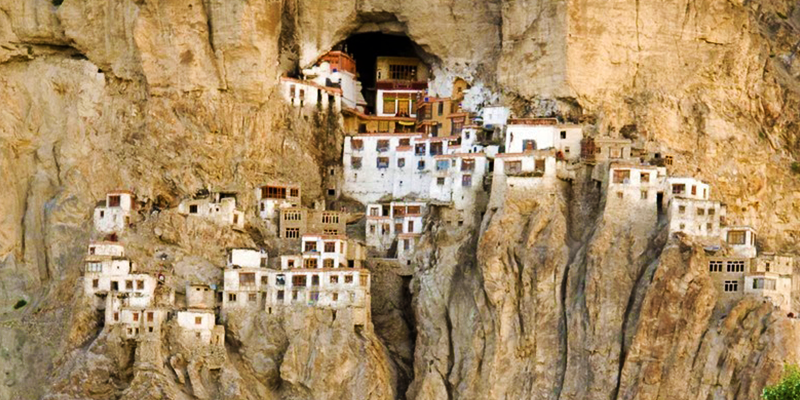 Cave monastery, situated 35 KM ahead of Kargil on NH 1D, is an architectural marvel. This small monastery is decorated with interesting frescoes that are dedicated to Lord Avalokiteswar. But what is really remarkable about this monastery is its position. Hanging out of a brown, granite cliff the monastery appears as though it has been suspended from the mountains. Must View: Stand at the verandah and enjoy panoramic views of the surroundings. Also Visit: There is a small but beautiful Buddhist nunnery below the monastery, which is also worth visiting. 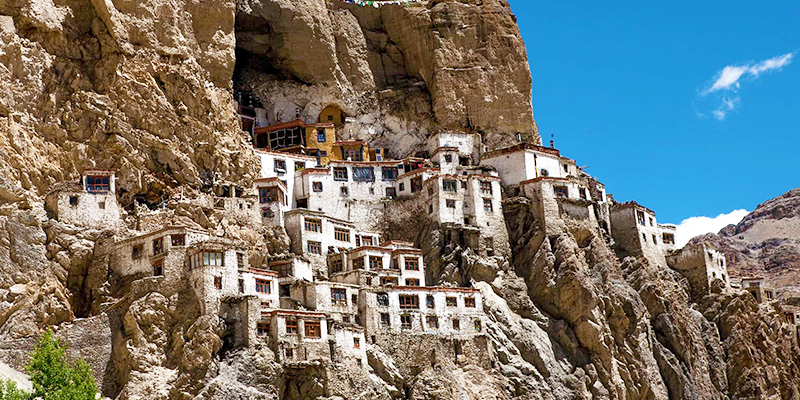 The monastery, situated some 25 KM ahead of Bodh Kharboo on NH in the Zanskar Valley, is built atop a rock overseeing the main road. Within the monastery are stored many precious Buddhist relics. But the star attraction of this monastery is a meter tall, eighth century build Maitreya Buddha idol, carved out of a rock. 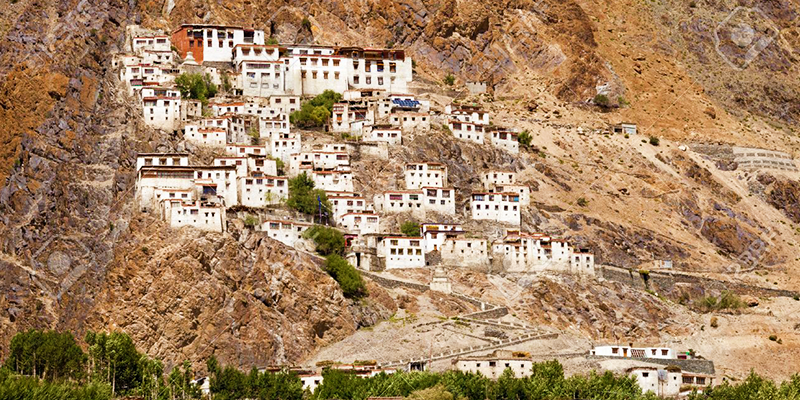 Sani Monastery is situated in the central part of Zanskar Valley. It was built by Emperor Kanishka, who had 108 chortens constructed during the 1st century AD. Sani is considered one of the eight holiest Buddhist sites in the world and the monastery earned the designation of Turtot Gyat. Many of the noted Luminaries of Himalayan Buddhism including Padma Sambhava, Naropa and Marpa have visited this monastery in search for divinity. 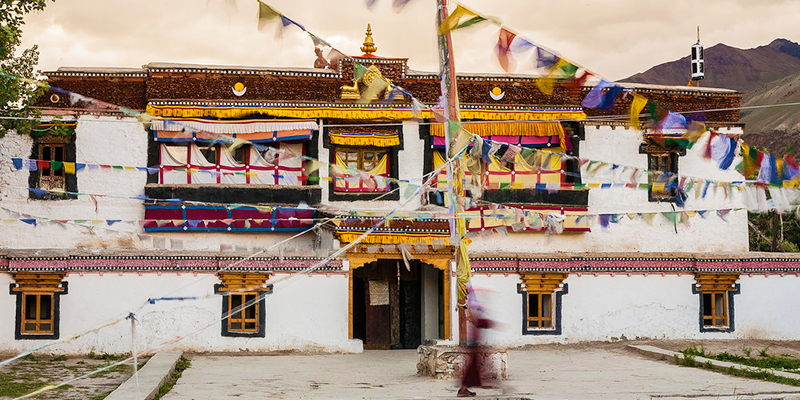 Built more than two centuries ago, by the then ruling king of Ladakh, and situated in the Suru Valley this monastery is home to several sacred and interesting artifacts from Tibet. One of the interesting facts about this monastery is the count of donkeys roaming within the monasteries. Trivia: There are more donkeys living within the monastery then monks. Situated 20 KM south of Rangdum, this spectacular monastery is built within a cave. It is decorated with beautiful frescoes which were etched by the monks. The monastery is closely associated with Naropa (a famous Indian yogi), who is believed to have met Lord Brahma while meditating within these caves. This is the largest monastery in Zanskar. The monastery was made out of whitewashed blocks, has many chapels and rooms for the monks. Set in a picturesque backdrop of the hills near Doda river, it offers amazing views of the surroundings. While you are here, also care to visit the nunnery on top of the hills where there is a sacred image of 11-headed Avaloketeshvara. 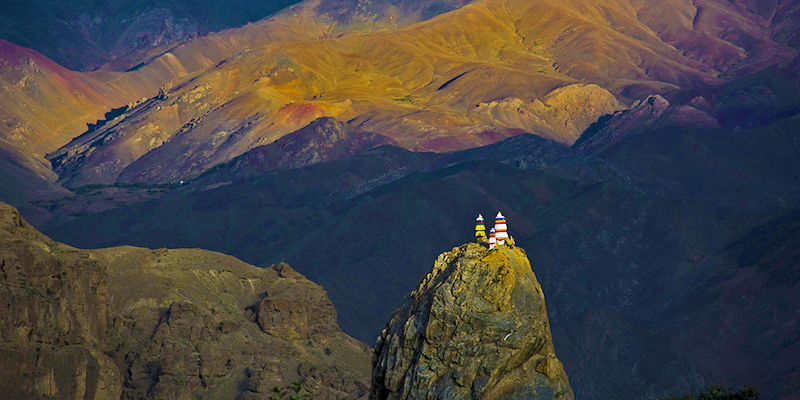 Built in the 10th century, the Gompa is situated east of Fotu La on the Srinagar – Leh highway. The Indus river flows by the monastery, which was constructed at astounding height of 11,000 feet. 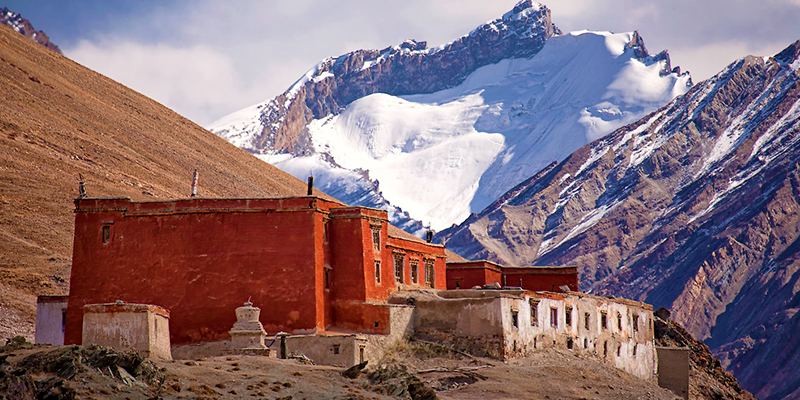 Legends claim that this was a Bon monastery (pre-Buddhist religion), and built on the original site of a lake, that receded after getting Lama’s blessing. 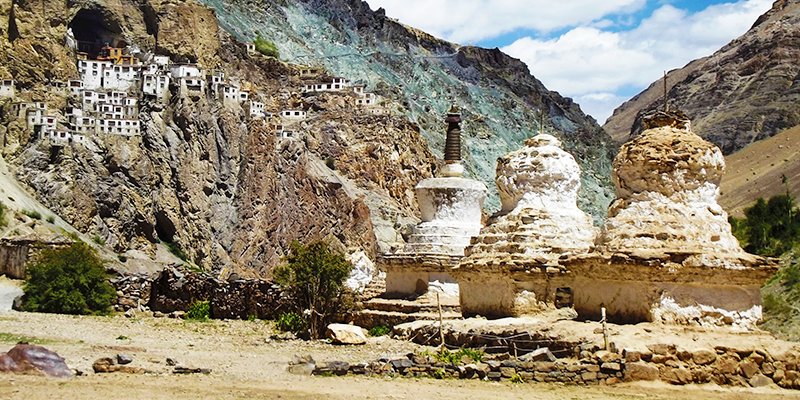 One of the remotest monasteries, it is situated in remote Lungnak Valley. It serves as an ideal example of a cave monastery and offers spectacular views. Primarily built as a place for meditation deep within the caves, this monastery has become an ideal tourist destination for people in search of some solitude. Must See: Festivals such as Smonlam Chenmo, Chudsum Chodpa, Chonga Chodpa, Gyalwe Jabstan, etc. Next articleDid you know there are temples for villains too?